For a festive winter break offering guaranteed snow and the opportunity to meet Santa Claus, there’s really only one place to go: Lapland. Finland’s northernmost province of Lapland is an Arctic playground where the resident reindeers outnumber people. Family memories are made here – visiting Santa at his official home in Rovaniemi, staying in a rustic log cabin, mushing through the snow on a traditional dog sled or dashing through the glittering landscape on a snowmobile safari. 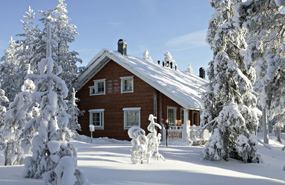 Christmas in Rovaniemi gets booked up very quickly, with hotels, cabins and flights filling up earlier each year. 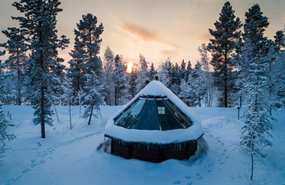 To help make sure you’re able to experience winter in Finnish Lapland, you’ll still have to act fast and get in touch with us today to secure your space. 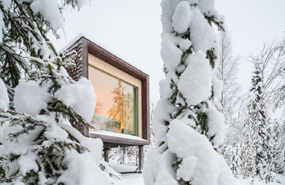 From Arctic TreeHouses with glass walls for spectacular northern lights-viewing opportunities to cosy log cabins or apartments overlooking the frozen rivers around Rovaniemi, we have rooms available at a variety of Lapland’s most unique and charming properties.